Railpictures.ca - Dave Beach Photo: CP’s classic tail car bringing up the rear of the Canadian on it’s final leg into Toronto on a beautiful labor Day weekend Monday (US) in 1978. | Railpictures.ca – Canadian Railway Photography – photographie ferroviaire Canadienne. 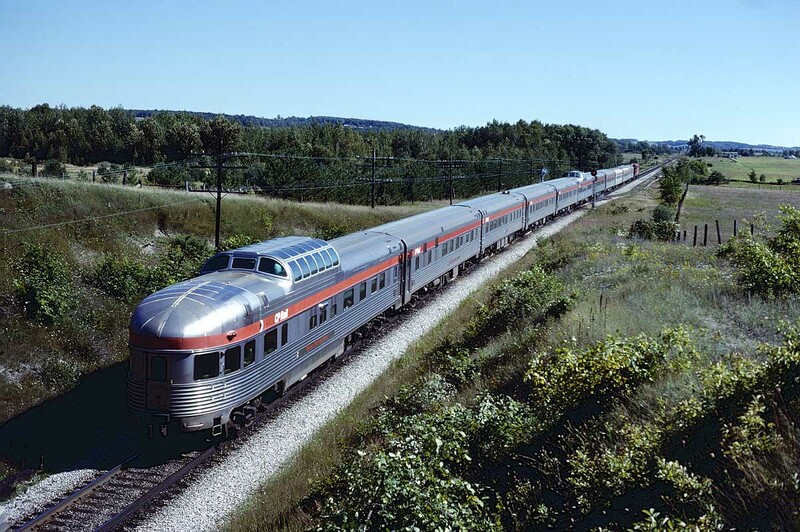 Caption: CP's classic tail car bringing up the rear of the Canadian on it's final leg into Toronto on a beautiful labor Day weekend Monday (US) in 1978.